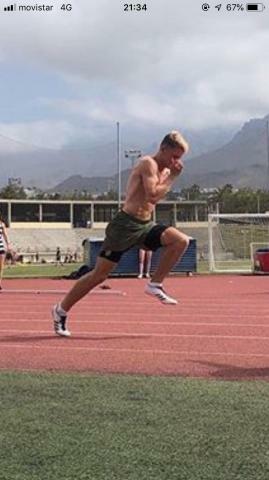 The 2018 GO GOLD Podium Athletes aim to blog about their competitions and training sessions at least once a month to keep LRS updated on their progress. Clicking on an athlete will also give you access to their individual profile and updates. Yesterday I received news of the current 18u Swimming World Rankings and after the Champs last week, I am the 5th fastest junior in the world for the 800 freestyle and the 4th fastest for the 1500. I had a great time on my performance squad camp in Glasgow and now a couple of days off to rest. Looking forward to the next big training block and the big push for the end of season events. Would like to give a big thanks to LRS GO GOLD for funding me for the 2nd year this really helps me in my sport. I hope that i can bring home some great results throughout the season. 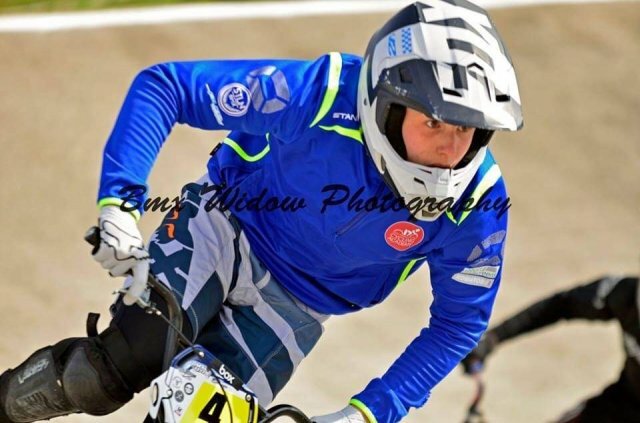 Rounds 3&4 of the British BMX National series were in Kent. The BMX track there is known for how windy it is and how much you have to battle with it. On the first day i came away with a 4th in the final, i wasn't disappointed with this result but i know i can do better. On the Sunday we were battling with the wind and i came away with a 5th in the final, i wasn't very happy with this result because i know what i can achieve at these races. Now i have to move on to rounds 5&6 of the National series and training hard getting ready for my European race. I am very thankful to receive funding again this year from LRS which will be put to good use whilst swimming over this season. 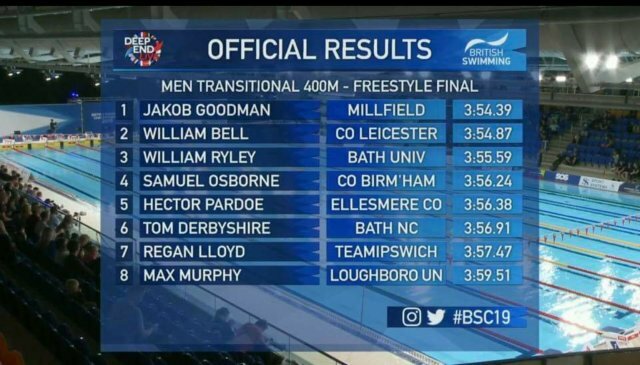 At the moment I am leading up to the East Midlands championships working hard to achieve qualifying times for nationals in the summer. The outdoor athletics season has just started so I am very excited to compete in a couple of weeks. This will be my first outdoor season of U20 women so I am eager to see how I get on as my training has been going really well recently. This month I have been focusing mainly on speed work so I can go into the season running fast. If I need to work on my endurance for the latter stages of the 200m, I can work on this during the season. The primary goal for this season is to run some more PBs and stay healthy as I am the bottom age of u20. This will make it a good year to practice running against older people and practice staying relaxed. It has been an extremely busy month, training, S&C and college exams, competitions and driving lessons, training away from home in sutton has taken alot of my time away this month. First outdoor competition in Kingston 2019 jumped 6.16m, great season opener in very windy conditions. Happy to start the season over 6m. I am currently training by long jump coach John shepherd in sutton until the end of this week, while my coach Femi is away in warm weather training in Malta. We are working on techniques and breaking each elements down so that I can jump better this season. I passed my driving test this month after 3 failed attempts, practice makes perfect just like my long jump. I am building up my strength, confidence and just have to nailed the new techniques I learnt to go on my competitions this year. I am currently half way through a 2 week warm weather training camp in Tenerife. Thank you to GoGold for helping to find this trip for me, I really appreciate the ongoing support. 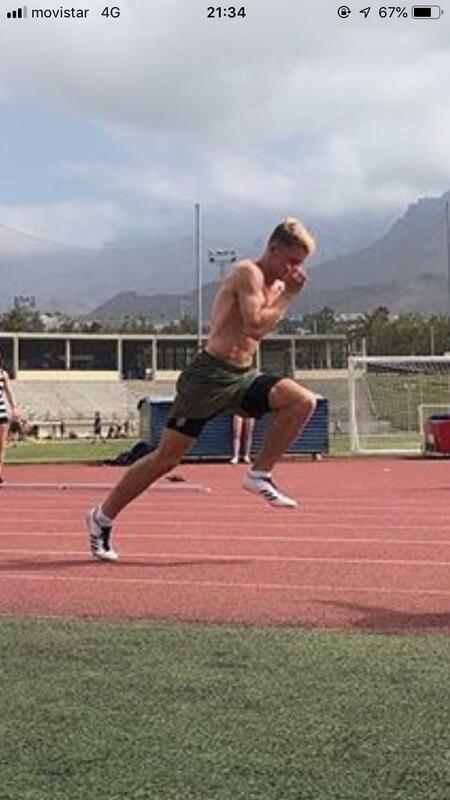 I am really feeling the benefit of getting in some high quality training sessions out here and being able to solely focus on my training away from everyday life at home for 2 weeks, it's really beneficial in a lot of ways. Really looking forward to opening my outdoor track season next week! My easter holidays started early with a three day England training camp at the National badminton centre. This was a long and tough three days but I enjoyed the challenges. After that I competed for Leicestershire's u18 squad in the Inter Counties Tournament held at Nottingham University for 4 days. We competed very well against some tough teams throughout the country and I had some solid performances throughout. Overall Leicestershire came 2nd which was a fantastic result for us to achieve as Leicestershire has never finished with a result that high. I then headed to Belgium to compete in the u17 victor jot international. Unfortunately I lost out in the first round in both girls singles and doubles, I was competing a year above my age at a very high standard and performed at my best. It's been a very busy few weeks but they have all been great experiences. I would like to thank Go Gold once again for supporting me with my swimming. This helps towards my swimming costs. I travelled to Glasgow on Saturday 13 April in preparation for the swimming championships which commenced on Tuesday 16 April. I entered two events, the 200m freestyle and the 200m IM. I qualified for the 'B' final in the freestyle and came in 7th place, just off my PB. In the 200m IM I qualified for the Open Final and finished in 8th place. My time was off my PB, but it was an improvement on the time I achieved in the Edinburgh International Open Meet in March. My next competition is the Midland Open Championships at Ponds Forge, Sheffield on 18 and 19 May 2019. I've been busy training in the gym which consists of about 17 hours a week. I fit this in amongst doing my A Levels. My first competition is coming up within a few weeks and training has been going well. So fingers crossed and I'll keep you updated. The day started out really well for me with a big PB for me in the kilo with a time of 1:05.91 and being the fastest rider by over 2 seconds. This set the tone for Elimination and Scratch race. In the Elimination i came over the top late and carried my speed over the top and won the sprint. 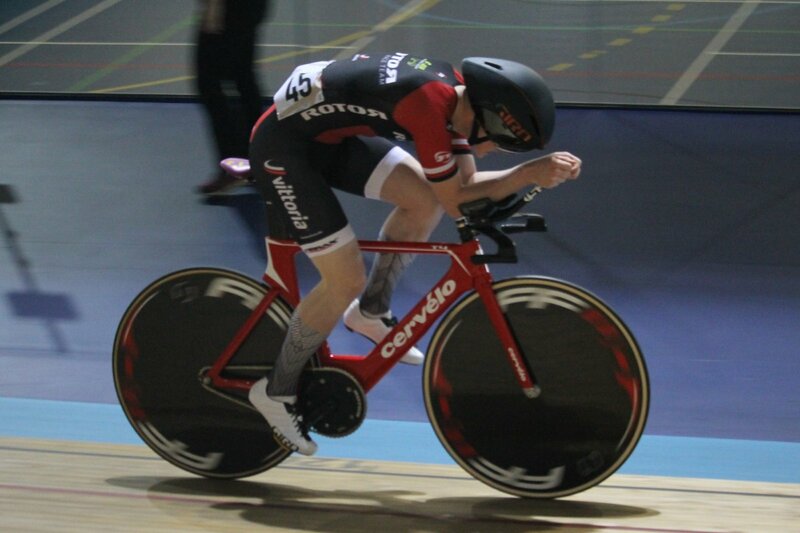 In the scratch race i started my sprint early boxing the other riders in and taking the sprint with a lunge. I went into the points race leading with a small 6 point margin to second. After a close battle in the early sprints we went into the last sprint knowing whoever beat who would win the omnium. Unfortunately i got caught out when they attacked over the top of me and we finished the omnium on equal points but i lost on count-back. After our GBR1 2-man crew of Nick Gleeson and Bradley Hall secured our best ever World Championship finish in 50 years with a 4th place in Whistler last March, UK Sport made the decision to cut all lottery funding for the GB Bobsleigh Team. I am now unsure of my future within the sport and await the news of our appeal. Last big push as my body is aching all over after the massive effort yesterday. Time for the 200 free. Was off my PB in the heat but got a lane in the Junior final. My time improved from heat to final and I came in second to the wall. Now off to meet the Swim England Performance Squad for a two day camp before returning home. What a massive day for me. The 800 free and the 200IM. Really wanted to do well in the 800 and follow my 1500 consideration time for European and World Junior Champs this summer with another. Just off my PB in the heats of the 200IM, but it earnt me a place in the final. However, raced a huge 9 second lifetime best in the 800 which I couldn't have been happier with. 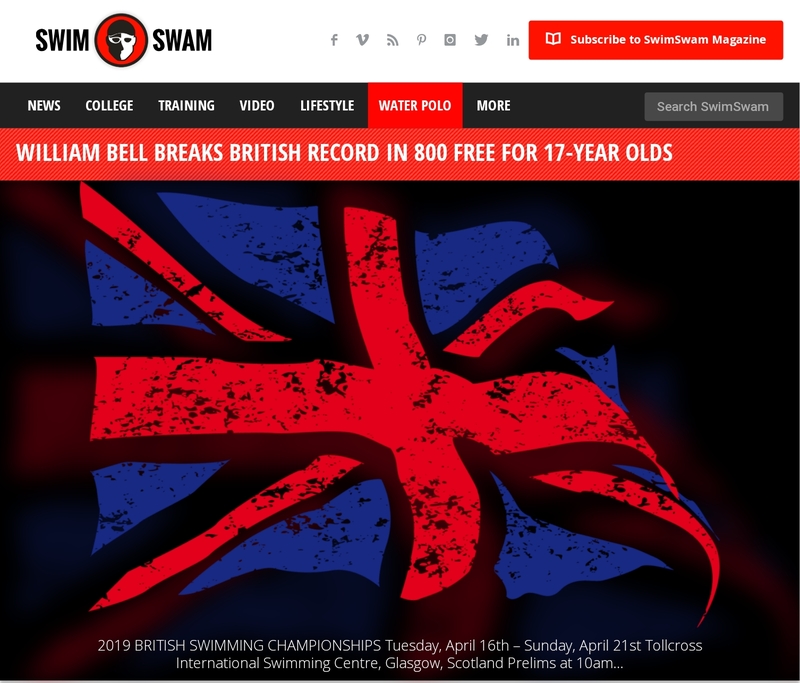 I broke the British Age Group record for this event and got the consideration time I wanted. Followed this with a PB in the 200IM final. 2 more Senior Leicestershire County records as well. A great day in the pool for me. With the first day cancelled due to high winds we were keen to get out racing in Weymouth on Tuesday. A disappointing race left us much lower on the leader board than we should have been. With Wednesday's racing also cancelled due to poor visibility Thursday was time to make it or break it. It was a great day for us and we were consistently top 15 bumping us up the rankings after an astonishing 6 races in one day. Friday saw light winds but luckily we were able to get one race in placing us 5th girls overall and 4th British girls. We are very proud after finishing 6 out of our 11 races in the top 10. Today was the 200 breast for me, an event I enjoy but I don't really train for, so I could relax as there was no pressure. My heat swim was ok, just outside my personal best time but it did earn me a place in the Transition final. The final was faster, about on my PB which I was really happy with. This time placed me as the 3rd fastest junior in this event at the Champs. Over the past week I have been competing in the RYA youth nationals in a laser radial, a step up from my laser 4.7 with a larger boat and more advanced fleet. 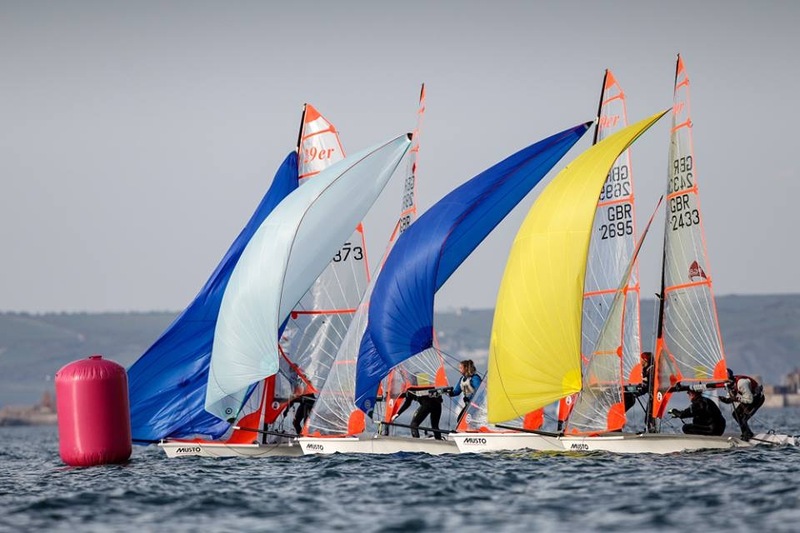 After training in the venue, WPNSA for two days before and completing my fitness profiling, the event started with a very windy first day with 38mph gusts, so they only sent the laser standards and radials out and as I am one of the smaller sailors I really struggled. Despite the disappointing wind and fog that prevented us from competing on some of the days I finished 16th overall, I was pleased as it was my first national event in the laser radial. 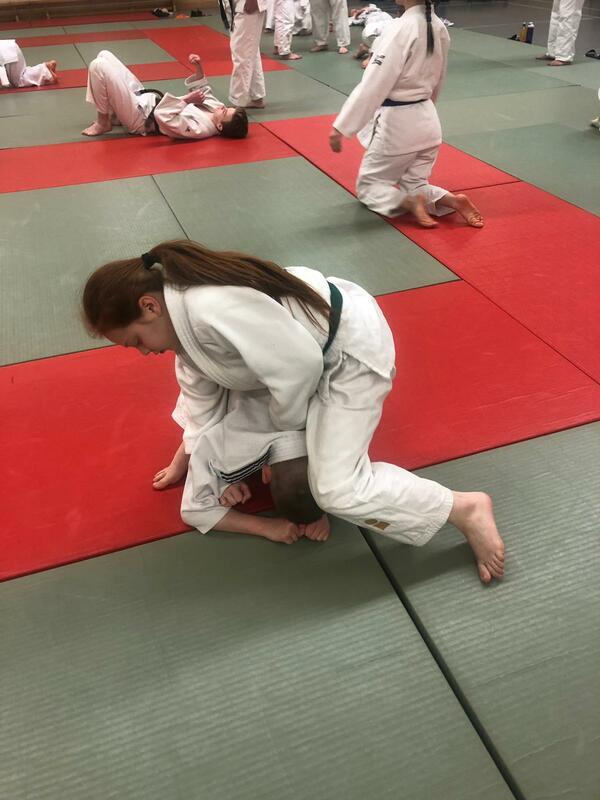 Last Saturday I went to my judo dojo where I did my Leicester squad training. It was really tiering as we did a hour fitness which included running (about a mile) and working on our strength and core. After the fitness session in the morning, we then started our randori and competition level fighting, we also learned a new technique. Overall it was really fun, very hard work and had a great time. On the 16th to the 18th of April, I went to a 3 day camp at Nottingham, where I trained with the u15 Midlands Conference team. During the camp there was various on ice and off ice training, including spinning and yoga. 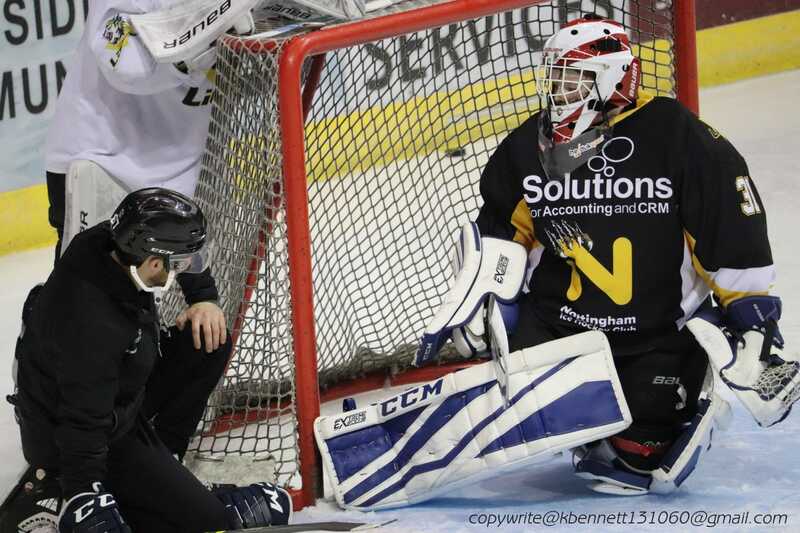 When I wasn't training I listened to a talk by a hockey player who went to jail for 8 years after being associated with drug dealing.I left the camp feeling more positive about my performance, and I am looking forward to my next game for Nottingham Tigers against Sheffield. Today was a big day for me as the 1500 free is my main event. I have been working very hard with my coach on a new race plan and today it paid off. So very happy to report that I knocked a massive 18 seconds off my lifetime best time and finished in second place behind Dan Jarvis. The consideration time for World and European Juniors in the summer is 15.29 so I was well within that. Couldn't be happier. Really looking forward now to the 800 free on Saturday. On the 21st,22nd and 23rd of February, I captained England U16s to a series win against Ireland U16s. We won all of the games, 5-2 (scoring 1 goal), 3-1 (scoring a hat trick) and finally 3-1 again. I came out the top goalscorer for the England U16s. I have games against Holland over the Easter weekend. This is likely to be a tough test against one of the top teams in the world, where I look to score more goals. Back at Tollcross pool, Glasgow this year. Started the champs with the 400 free. Would have liked a quicker time in the heats but a decent start, practicing my race plan. Managed a lane in the Transition final this evening and I am the youngest. The final went according to plan. Dropped 4 seconds from this morning, racing a new personal best time. 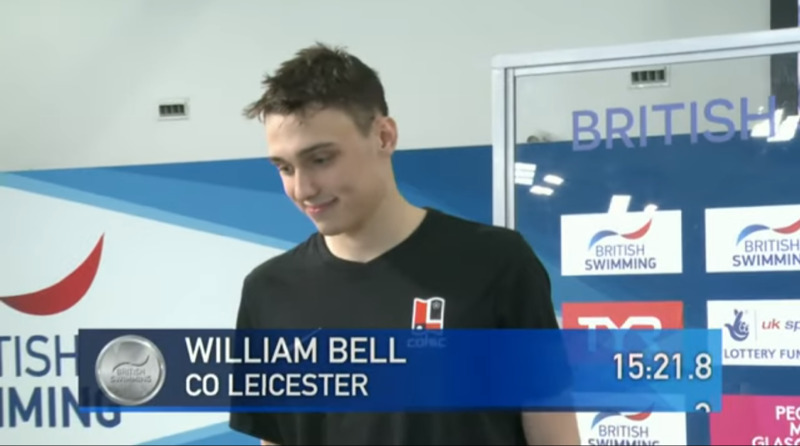 This made me the fastest junior in this event, also breaking the Senior Leicestershire County Record again. Day off on Wednesday resting up for the 1500 free on Thursday. 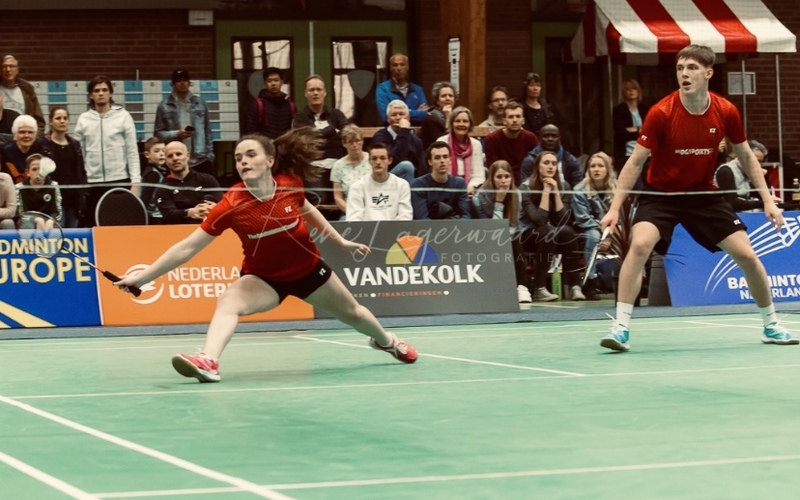 Last week I competed at the Dutch International Series in Wateringen with my new mixed doubles partner where we reached the semi-final! We narrowly lost to a French pair in 3 sets: 21/17, 20/22, 21/13. This is the furthest I've ever progressed in this level of tournament so I am very happy with the performance. A really good start to the partnership!